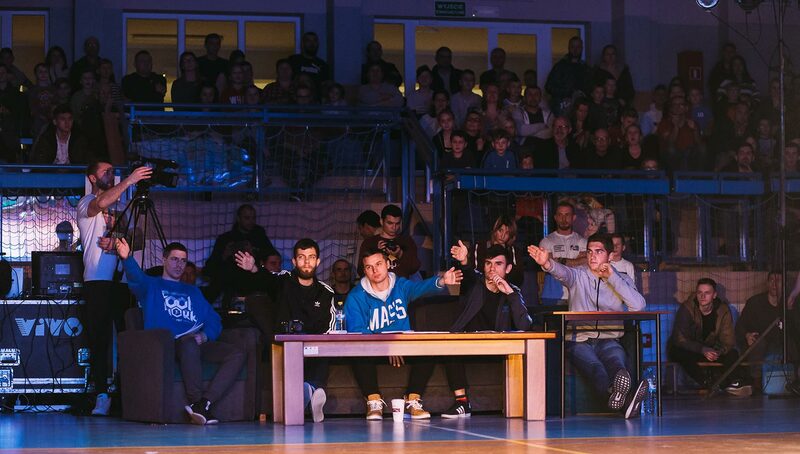 Always an event to pay attention to, this year’s Lubasz Freestyle Night was another one to remember, complete with insane performances, a star-studded judging panel, and of course, an unmatched atmosphere that only Lubasz, Poland could provide. 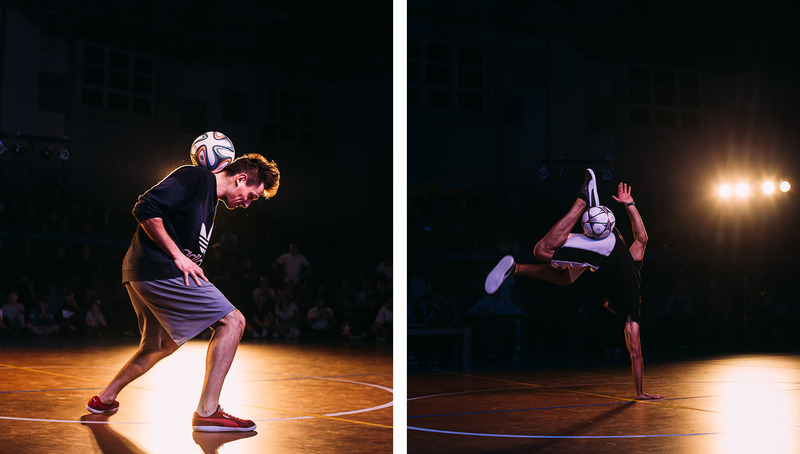 Just as we had recovered from New Year’s celebrations, we welcomed yet another edition of the second-largest open tournament in freestyle football — Lubasz Freestyle Night. 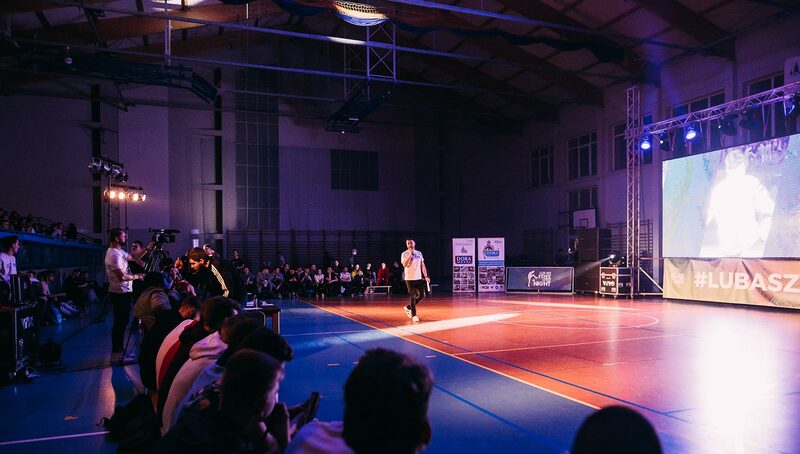 Taking place in the small, isolated village of Lubasz, Poland, freestylers from 13 different countries returned in droves for this unique two-day event filled with plenty of good vibes and competitions to partake in. It’s certainly one of those events that you should experience at least once for its weird and wonderful appeal. After all, this is all taking place in one of the “homes” of freestyle, as Poland has been producing so many good freestylers in ability and numbers over the years. It was really hard to call a winner going into this one, but the big man Robert Guzik (Poland) walked away with the first place trophy for the men’s side and Aguska Mnich doing the same for the women’s on a night that had plenty of high-level action. 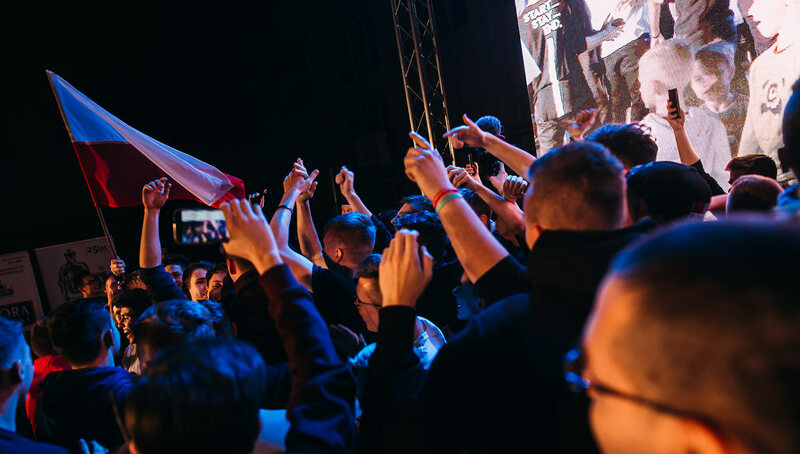 As we reminisce on what was truly a remarkable spectacle from start to finish, here are five of the biggest highlights and talking points that made LFN2019 another memorable installment in the annual tournament’s history. None of these guys should really need an introduction as they are all legendary in their own right. Of all the competitions I’ve ever attended, this has to be the most star-studded line up of finals judges I have ever seen. We start with the obvious pair of Erlend Fagerli and Michryc, who between them have six — yes, six — world championships, not to mention endless creativity and icon status in this sport. Even when Erlend was training in his down time, he had freestylers around him in awe. When not on judging duties, of course you could find Erlend Fagerli having a ‘light’ training session (Photo credit:Milosz Pazek). The others were a devastatingly awesome bunch of lowers specialists. 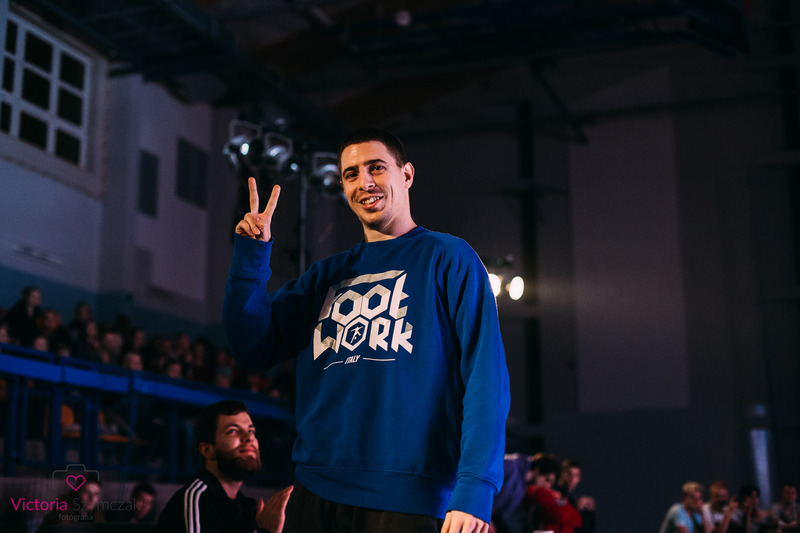 We were super lucky to have one of the sport’s most humble characters in Rocco (Hungary) there, as well as Russia’s very own powerhouse Akrisha, aka Andr3w. Hungarian lower legend ‘Rocco’ enjoys his introduction at the start of the finals. 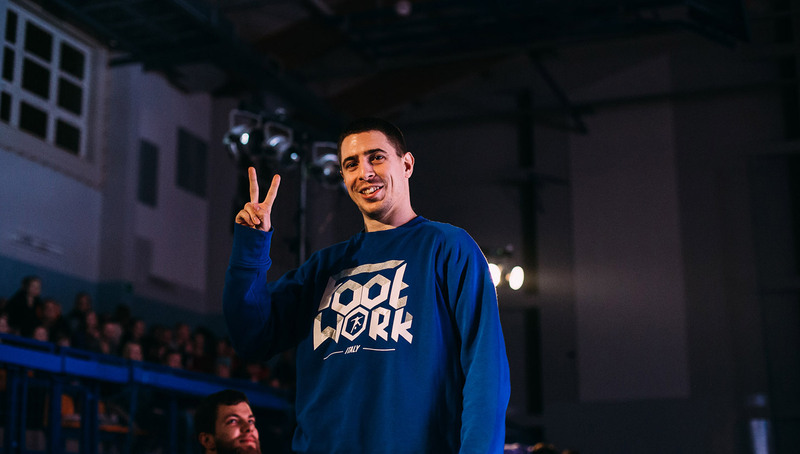 Last and by no means least it was incredible to have one of the biggest pioneers in lower body combos in Pawel Skora attend and judge the competition after somewhat distancing himself from the freestyle scene in recent years. In previous years, he had rejected numerous invitations to be a judge at Lubasz Freestyle Night. 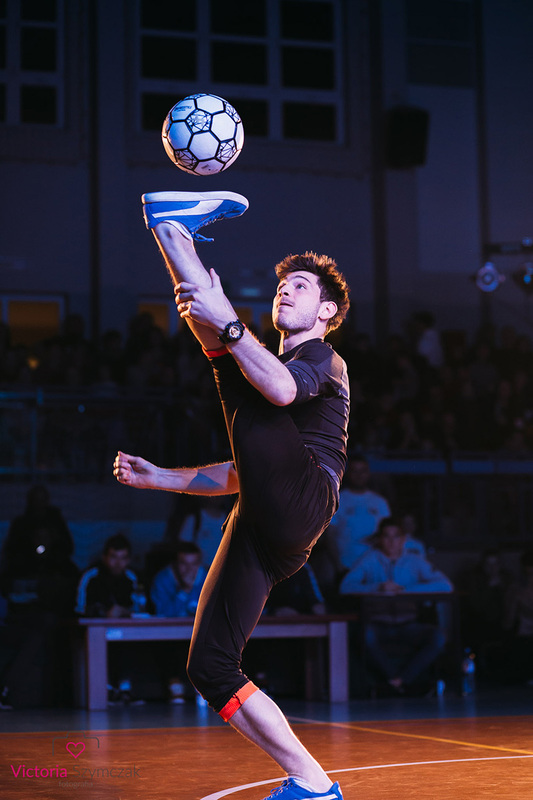 For years, this average-looking sports hall has been magically transformed into a sick professional production that really does hold its own for a freestyle venue. The lighting is so cool from a spectators point of view, as come the last day it really does get the “night” feel to it while the floor is illuminated for the competitors. This year there was also a high definition large screen so there was no chance of missing any of the action. It’s really encouraging and inspiring to see the difference between the qualifier days and then the actual finals. Baring in mind the budget and man power needed to make it happen, we have to give huge respect to the organizer Mistre for bringing his vision to life once again. This is something Lubasz Freestyle Night can surely pride itself on, and it delivered once again. Although, truth be told, the atmosphere for the qualifiers was very flat. The curtains in the middle of the hall separating the warm up areas from the qualification circles probably played a part in this. But come the night of the final with a full house in the stands, the place was rocking again. The music improved greatly for the finals and really got the crowd and finalists hyped. Maarten Van Luit (Netherlands) shows off his flexibility in his Top 16 battle. The audience was also sat on benches close enough to see the action as well, although I feel like they could have been sat a little closer not only to lock in that atmosphere even more, but also to help retrieve players’ footballs after drops as some of them were becoming very costly time-wise in the battles. At the semifinal stage especially, the tricks and reactions were in a league of their own. If you were one of the two home favorites, then you would have got a real boost (Guzik and JRK from Poland finishing first and third respectively). I think everyone was up on their feet losing their marbles for Guzik’s long No Touch combo in the final. Lubasz Freestyle Night at it’s finest. 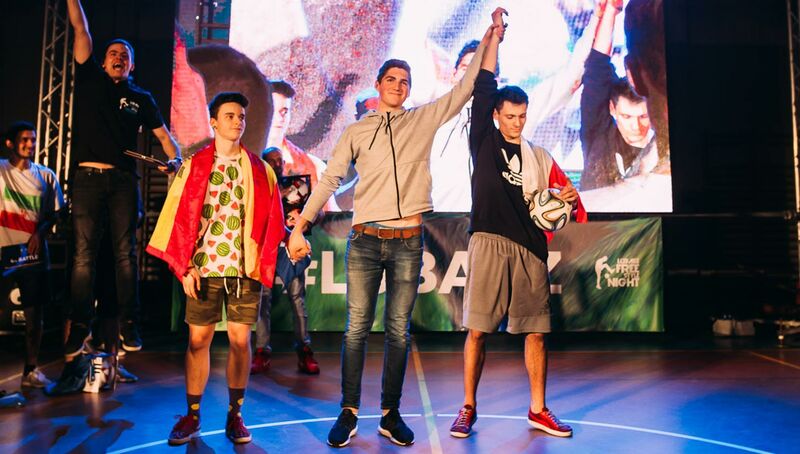 However, the same couldn’t be said unfortunately for runner-up Alvaro (Spain) whose support, even with the fellow Spanish freestylers in attendance, could barely be heard. The same lack of noise was also evident for Iran’s Ahmadreza, who finished fourth just like last year. Having reached a crazy high number of entrants once again (125), the time had come to try something a little different to accommodate everything in the schedule. The qualifiers were divided up into two different divisions happening simultaneously, the Under 18s and the Open Battle. Given the large number of competitions within LFN, this seemed to work well for timing, in comparison to the endless day of battle circles seen in previous years. 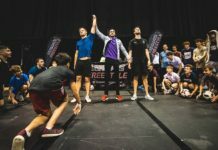 For the Under 18s, it probably increased the chances of coming up against similar level freestylers, even though age is not a pure reflection on ability. With three judges for either side (the creative Dawid ‘Jarzebos’ Jarzebowski being added to the five mentioned earlier) it kept things flowing, but at the same time it’s hard to tell if the Under 18s really got any spotlight with this method, as the Open Battles received the majority of the focus. It would be interesting to see if other competitions in the future would like to adopt a separate division based on age. 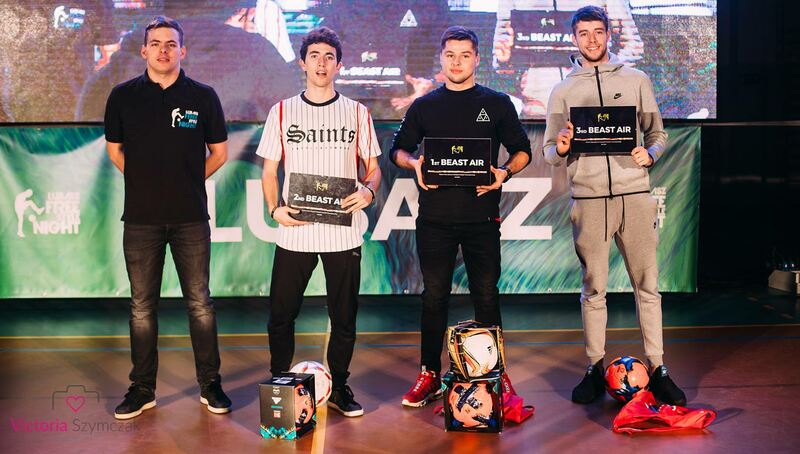 The podium placers for AIR BEAST collect their plaques and prizes with organiser Mistre (L-R: Anto Sanz, Kondzio, Conor Reynolds). In an interesting twist, this year’s lower body contests were combined to try to find one overall winner. Challenge, Sick 3 and Iron Man were once again open to everyone to enter across the two days, with a leaderboard set up to accumulate points across all events. Winning the Challenge was worth 200 points, Sick 3 was 150, and Iron Man was 100. Kondzio (Poland) came out in first place overall after winning the Sick 3 and coming in second in Challenge and Iron Man. The other two spots were occupied by Anto Sanz (Spain) and Conor Reynolds (Ireland). The idea overall was cool and does help to show who is a more “complete” lower freestyler. 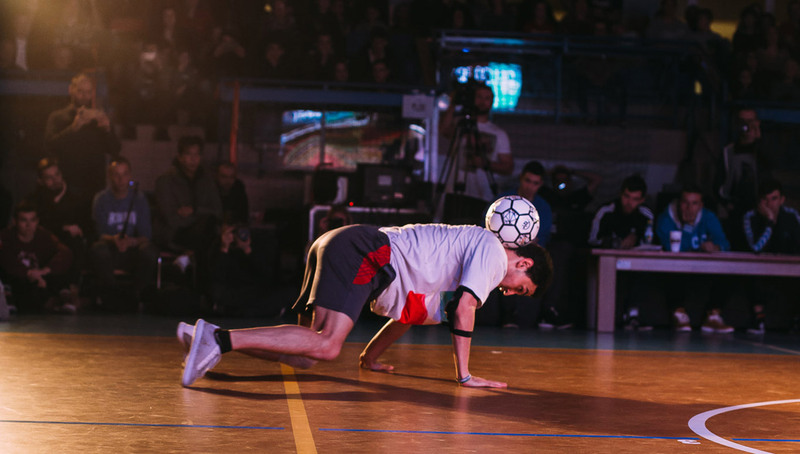 But on the other hand, with no trophies or honorable mentions to the freestylers who took part in them individually, it did feel like it deterred from the overall experience that we’ve come to appreciate at events such as Super Ball. 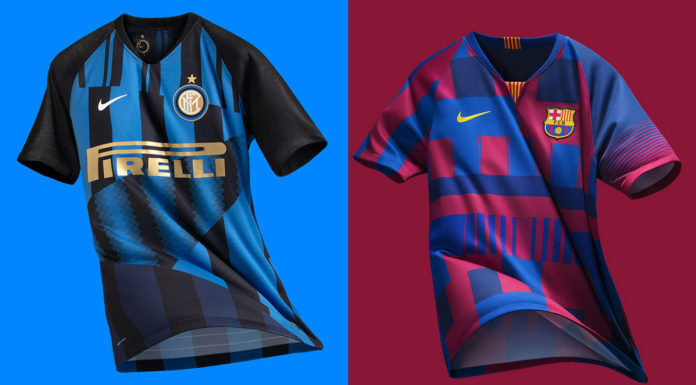 It also led to some confusion, especially with Iron Man, due to times being compared with everyone and the absence of a final. It will come down to personal preference, but it begs the question, should the lower-based contests be combined or left as individual events? We’ll see how this is handled in future tournaments.